The plants that flower when day length is less than a certain critical length are called short day plants. These plants require specific short duration of light. The are actuall long night plant. They need darkness more than a critical length. Me can flower in 24 hours darkness. For example. xanthium flower under photoperiod less than 15 1/2. The duration of light should he less than this critical time. Other examples of short day plants are Biloxi soybean. Cocklebur. Xanthium, Tobacco and Strawberry. 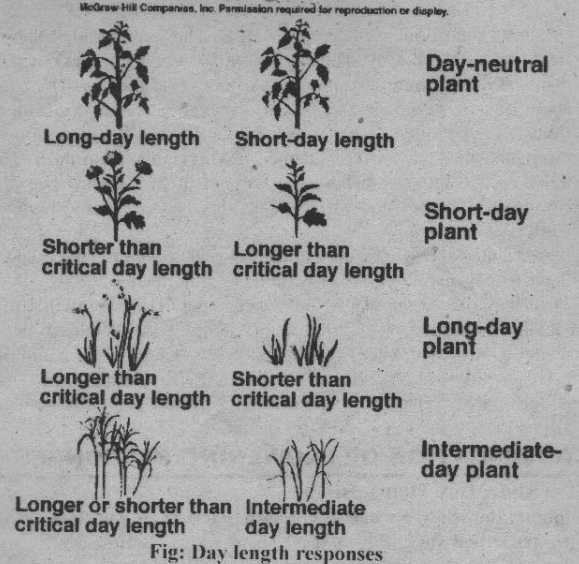 The plants that flower ,s; hen day length is More than a certain critical length are called long day plants. Dark period is not important for them. It means they can flower even they are exposed to 24 light. For example. the critical photoperiod of Hyoscyamus is more than 10 1/2 Hours. Other examples of long day plants are cabbage. spring, wheat and spring barely. These are also known as day length indifferent plants. Such plant flower under any photoperiod. Its examples are tomato, cucumber, cotton , maize and garden pea. The limit of the photoperiod up to which the short day plants flower is called critical photoperiod of short day plants. The limit above which long day plant flowers is called critical photoperiod of long day plants.The critical photoperiod Varies from species to species. Both Xanthium and Hyoscyamus flower when they are exposed to 12 hours photoperiod. Xanthium is a short day plant. Its critical photoperiod is less than 15 1/2 hours. Therefore. 12 hour photoperiod acts as a short day for xanthium. It is less than its critical photoperiod. Hyoscyamu is a long day plant. The critical photoperiod of Hyoscyamu is more than 10 1/2 hours.The photoperiod of 12 hours acts as a long day for Hyoscyamu . 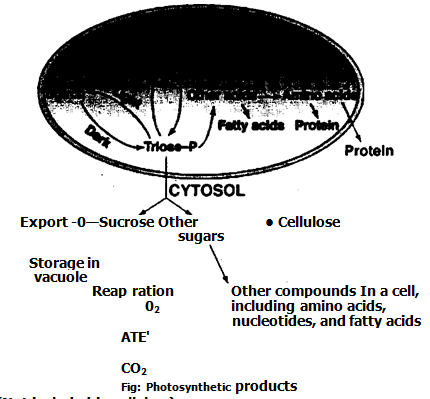 It is more than the critical photoperiod. (a)Inductive: If a photoperiod causes flowering in a plant. it is called inductive photoperiod. (b) Non-inductive: If it does not cause flowering, then it is non-inductive. Thus short days are inductive for santhium. But long days are non-inductive for santhium. Similarly, long days are inductive for Hyoscyamus. But short day are non-inductive for it. These notes are excellent, short, very helping, easy to understand and easy to remember. Thank You!